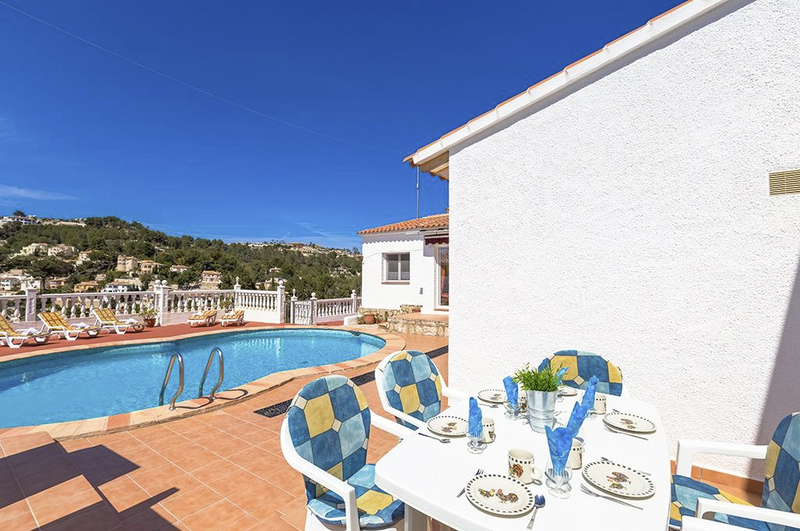 Start your day under the Spanish sun sipping with bacon and eggs cooking on the barbeque, fresh orange juice in hand all while you look out over the stunning vista of hills and villas in the distance. 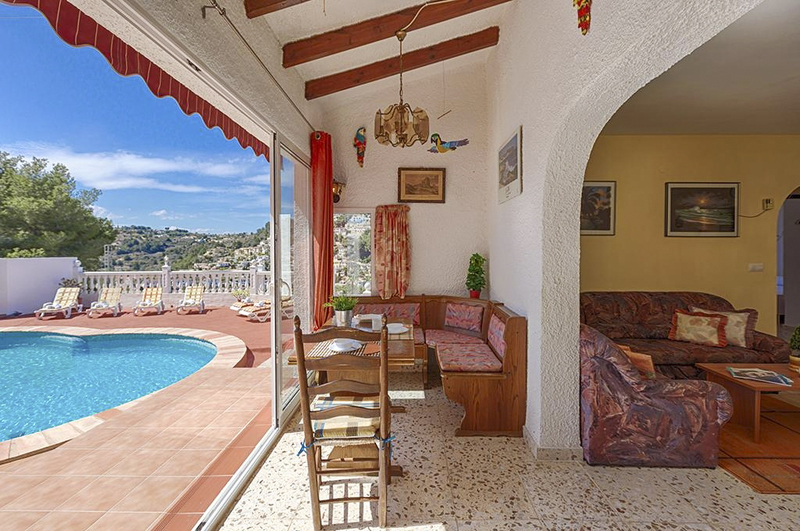 It’s a picturesque scene, and one that is possible with Villa Eder in Benissa, Costa Blanca. 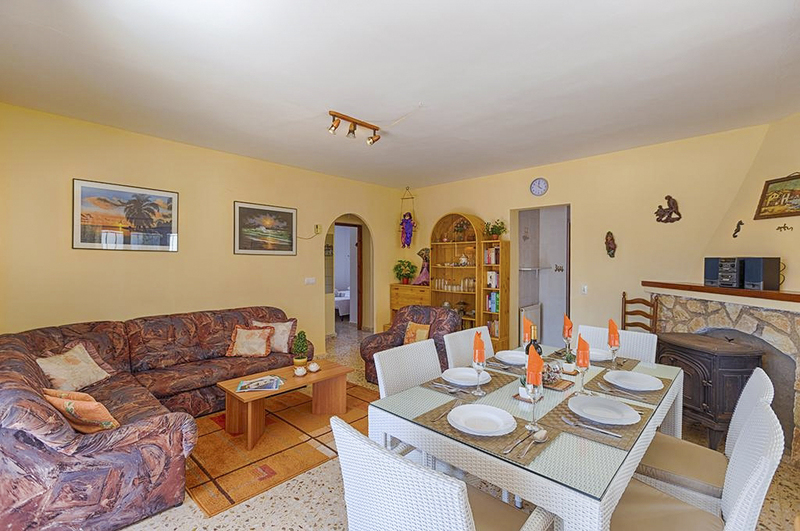 This one level cosy and cheerful Spanish Villa is the perfect home away from home for a getaway to one of the most popular holiday spots in Spain. 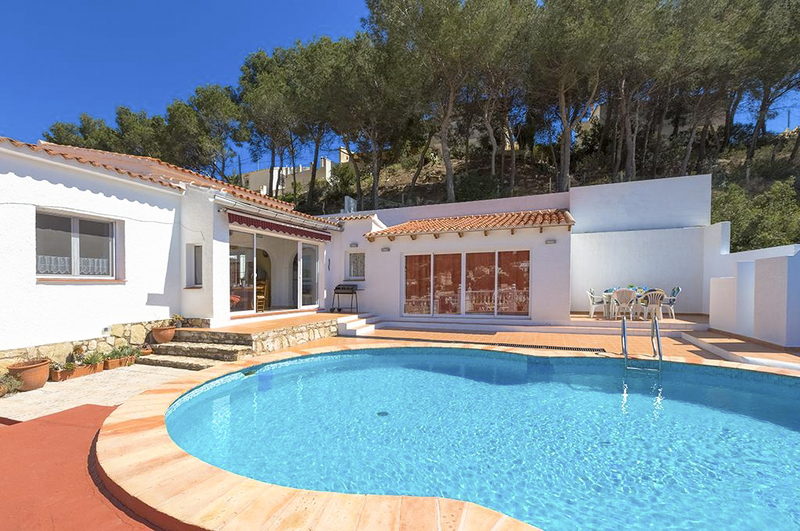 Your own oasis under the sun, this villa has everything you need for a relaxing vacation whether for you that means relaxing by the pool and barely moving or exploring the coasts along the Costa Blanca. Open the doors from the lounge to the pool and allow the sea breeze to fill the home, whether sitting in the living room, which is also air-conditioned or the dining room you can appreciate the view. The cosy lounge and dining spaces are complete with little nick nacks and a satellite and cable television, creating a homey feel that encourages relaxation and makes everyone feel at ease. 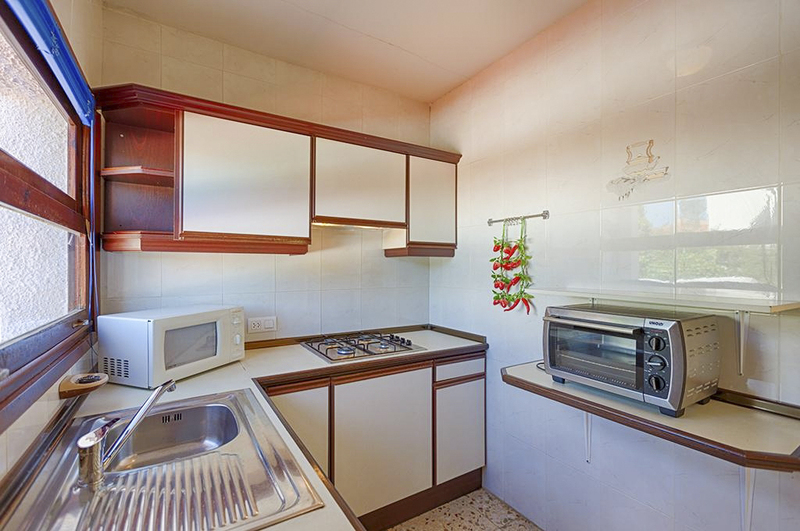 The kitchen tucked off to the side, is complete with everything you need to make cooking on holiday as stress-free as possible, such as an electric hob, electric oven, microwave, refrigerator-freezer, coffee machine, mixer and toaster. 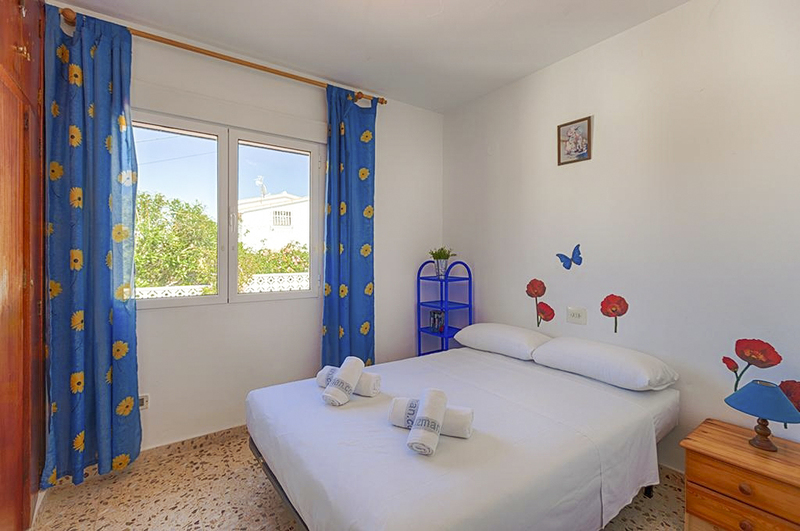 Continuing with the quaint and cosy feel, the bedrooms are bright and airy and air conditioning runs throughout each bedroom, essential on a balmy night. 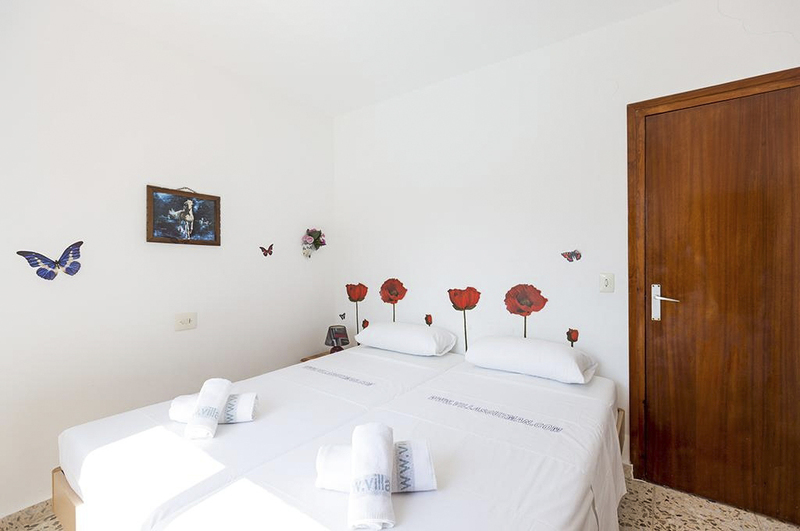 The three rooms in the villa offer one room with a double bed and two rooms each with two single beds. 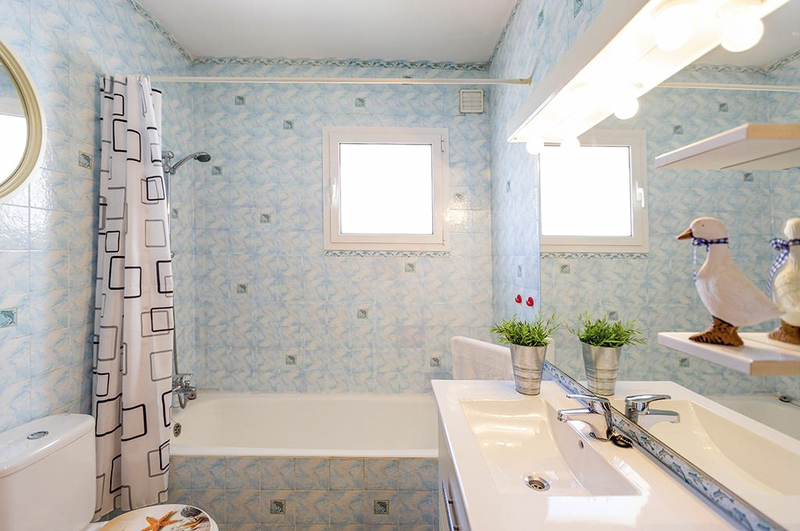 The home's bathroom offers a single washbasin, bath and toilet and like the bedrooms offers natural light and cheerful decor. 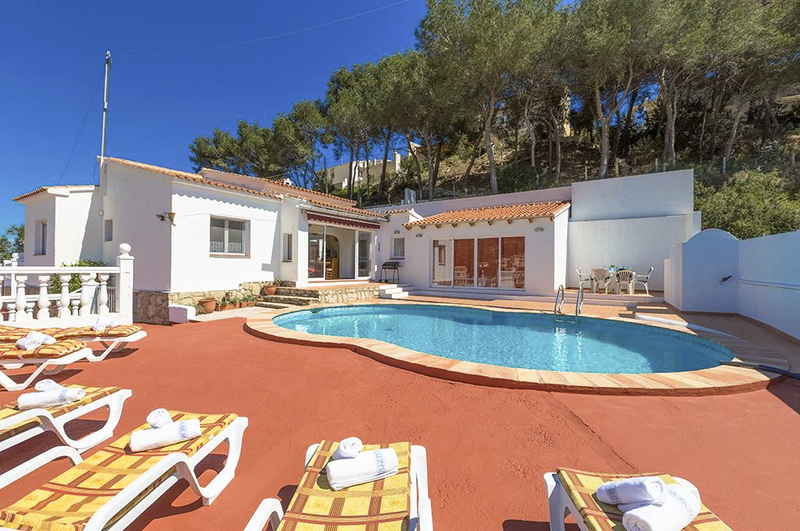 If you imagine a 90’s flick, with a pool party at a villa in Spain then you will get a fair idea of the backyard and pool on offer at Villa Eder. Yellow pool chairs line the private pool and the outdoor sitting area is opposite. Behind you, the most stunning vista to enjoy with a book and cocktail in hand. The pool parties can last all day, with dinner served on the barbeque. High-waisted swimsuit and 90s music optional. The Costa Blanca, which literally means ‘white coast’ is over 200 kilometres of Mediterranean coastline in the Alicante province of Spain. 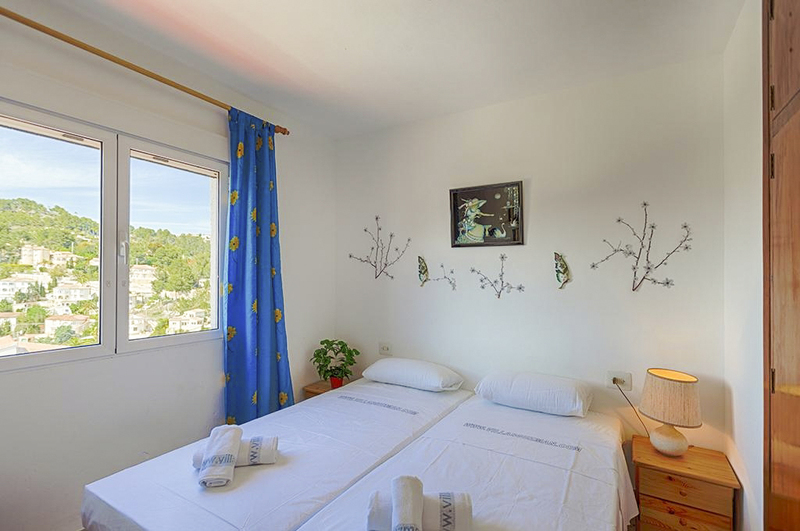 Situated on Spain’s Southeastern coast, it is an incredibly popular tourist destination because of the typical Mediterranean climate, in other words long, hot summers and short, mild winters. The average afternoon temperature is 20 degrees all year round and the coastline see’s over 3,000 hours of sunshine each year. Needless to say, it is a popular travel destination year-round. Another drawcard to the Costa Blanca is the stunning beaches which have crystal clear water and many of the beaches have been awarded blue flags by the Foundation for Environmental Education because they are so clean, safe and accessible. 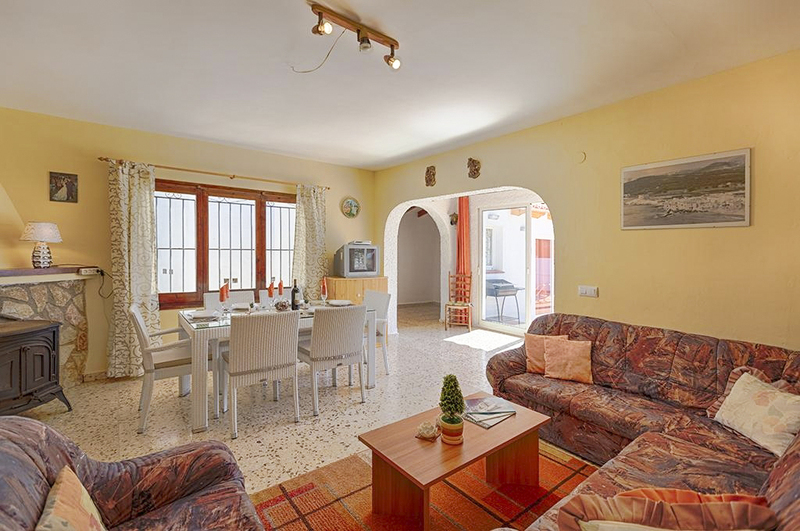 Benissa, which is where the villa is located, is the oldest town along the Costa Blanca coast and offers plenty to do with largely preserved with medieval architecture and plazas for holiday goers to revel in and cuisine that boasts fresh, locally caught seafood. There are also plenty of international establishments in the area. 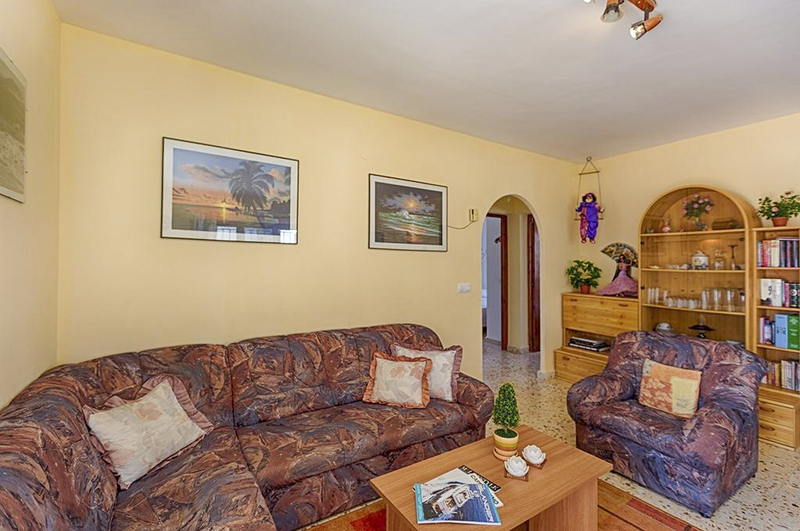 Getting around on public transport is possible, with a bus within five kilometres and a train within ten kilometres of the villa. 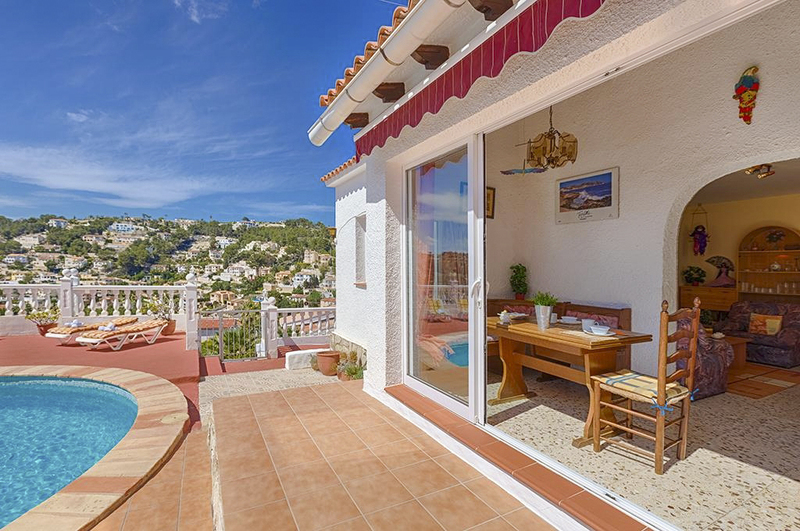 The nearest beach to the villa is located in Moraira, an upmarket beach town with beautiful beaches, a marina and boulevards with excellent restaurants, bars and shops. 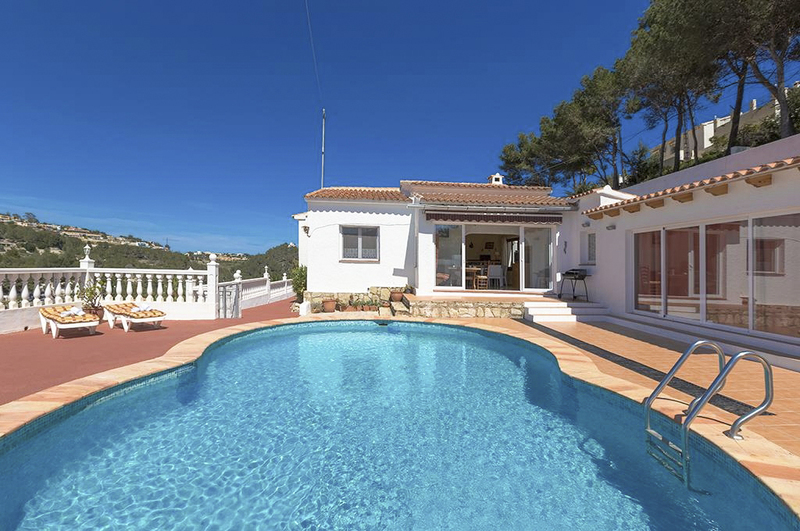 The villa is located within a similar distance of both Alicante and Valencia airports, around 100 kilometres away from both.